This page is dedicated to vehicle equipment commonly issued to any type of combat vehicle or combat vehicle crew, as opposed to vehicle specific equipment such as tool kits, which are covered under the vehicle pages of this website. Things such as fire extinguishers, First Aid Kits, goggles and gloves and whatnot which are general issue are what is covered here. Although a bit of detail on the protractor is given here, since most reenactors probably wouldn't know what one is, whereas details on compasses are not covered, as compasses are generally familiar as a device to most reenactors, land navigation and navigational equipment will be covered in detail on another page. First thing's first, and safety is always first. To the left is a WW2 vintage "Pyrene" fire extinguisher. 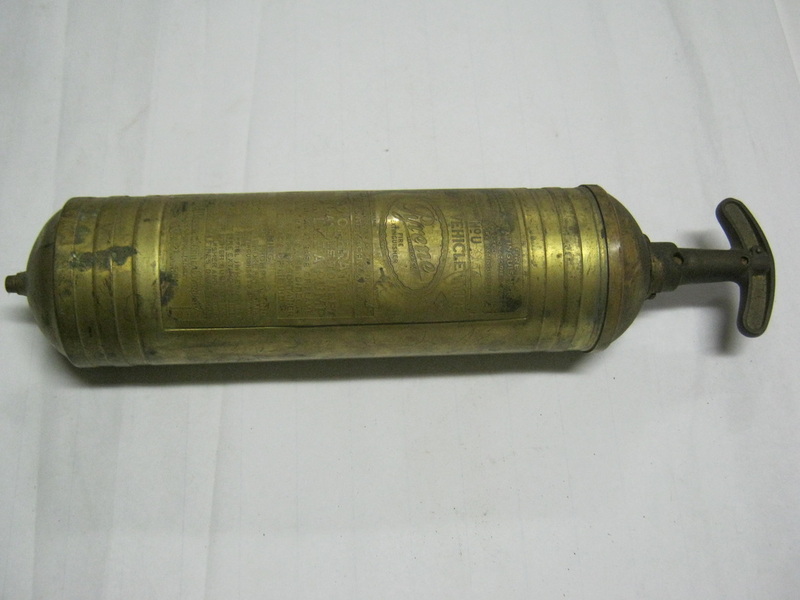 I didn't know much about these, other than they were called pyrene fire extinguishers, until I got a couple of them. There are various manufacturers of these type of fire extinguishers, and they all look similar. 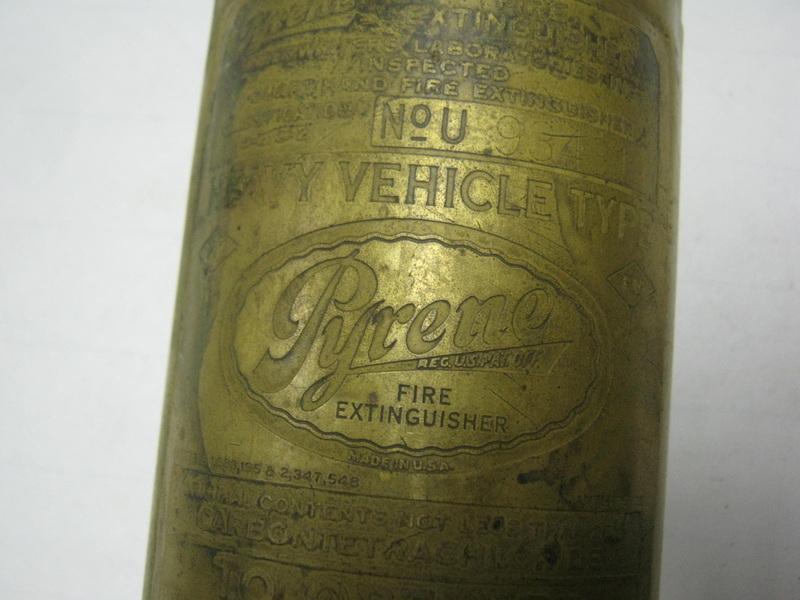 But "Pyrene" was actually a brand name, and people have come to call this type of fire extinguisher a pyrene extinguisher the way everyone calls facial tissue "Kleenex", whether it's actually manufactured by "Kleenex" or not. To the left are various first aid kits. 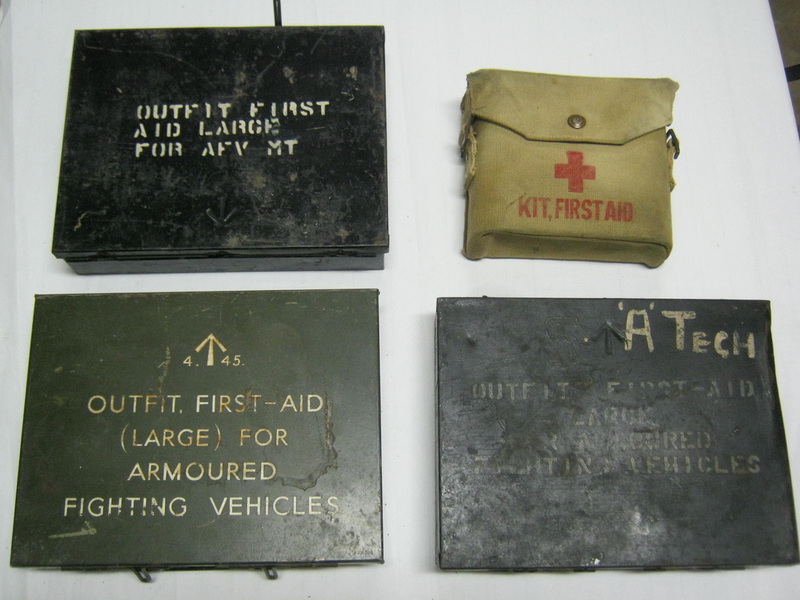 The three metal boxes are all "Large Armoured Fighting Vehicle" first aid kits. The web first aid kit is a generic kit adapted from a binocular case. As with much equipment of this type, there are various manufacturers and models that are compliant with the basic regulation patterns. 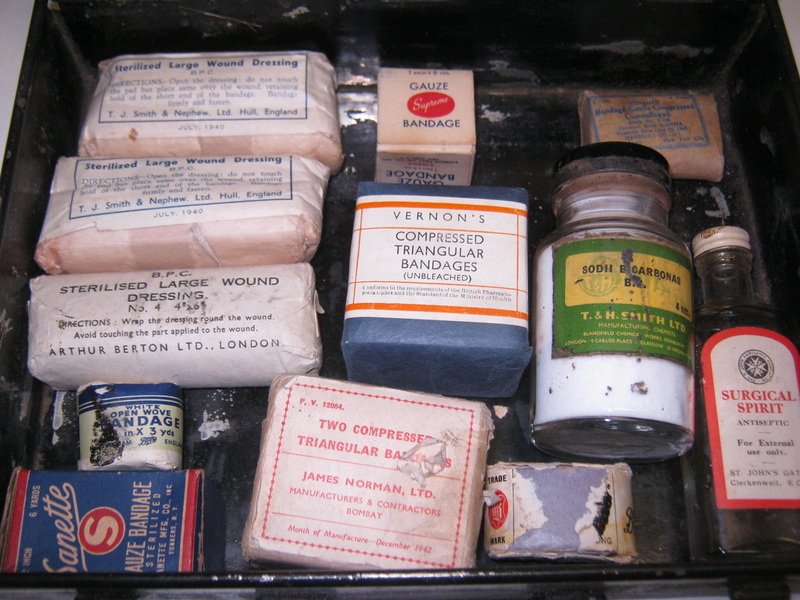 To the right are typical contents of a WW2 first aid kit, including bandages, wraps, epsom salt, mineral spirits and whatnot. 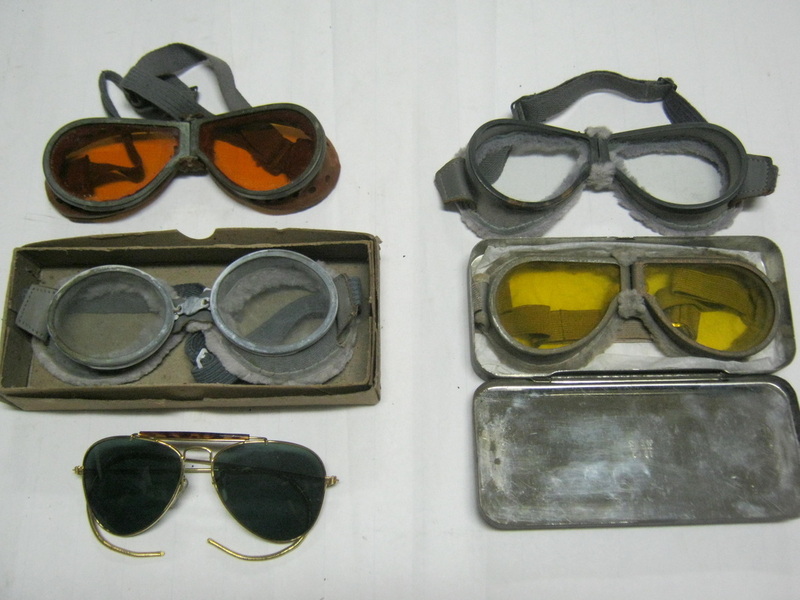 To the left are various British vehicle operator goggles. They came in clear lenses and tinted lenses. 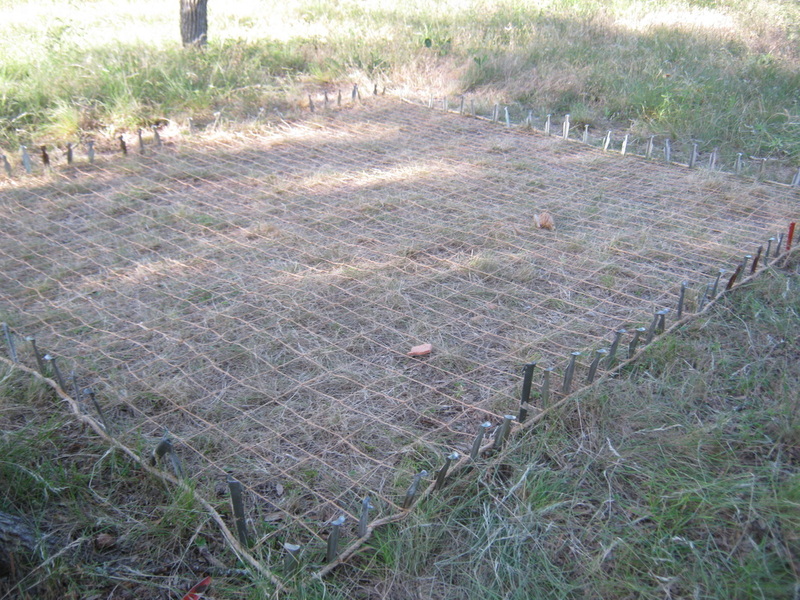 They were issued for protection against sund, dust and wind. They are most protective against the wind created by the vehicle moving at high speeds, particularly when one is trying to see what might be trying to kill you in the next woodline or bend in the road. Also seen at the lower left of the left photo is a pair of WW2 sunglasses. At right is a pair of vehicle operator gauntlets. 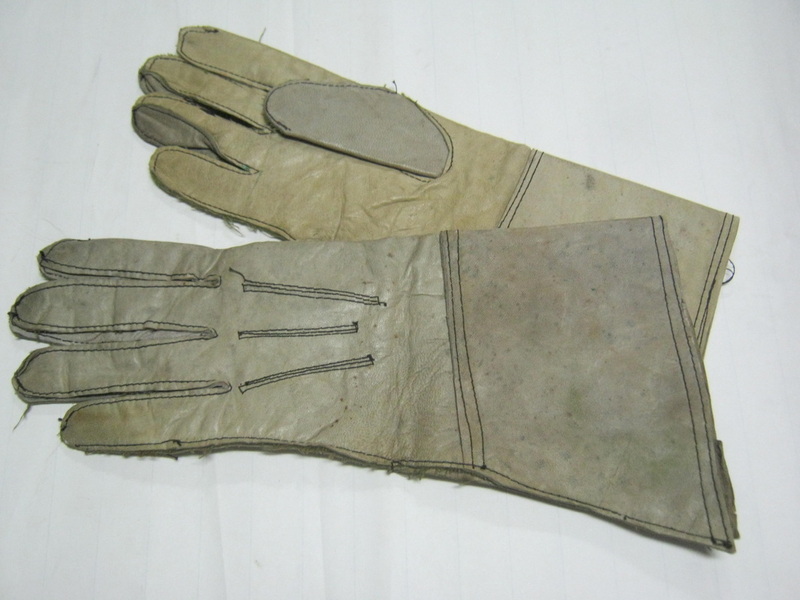 These are used on the exposed hands of motorcyclists, tank drivers to protect against hot and cold steel laterals, etc. One of the most important tools of a tank commander are binoculars. 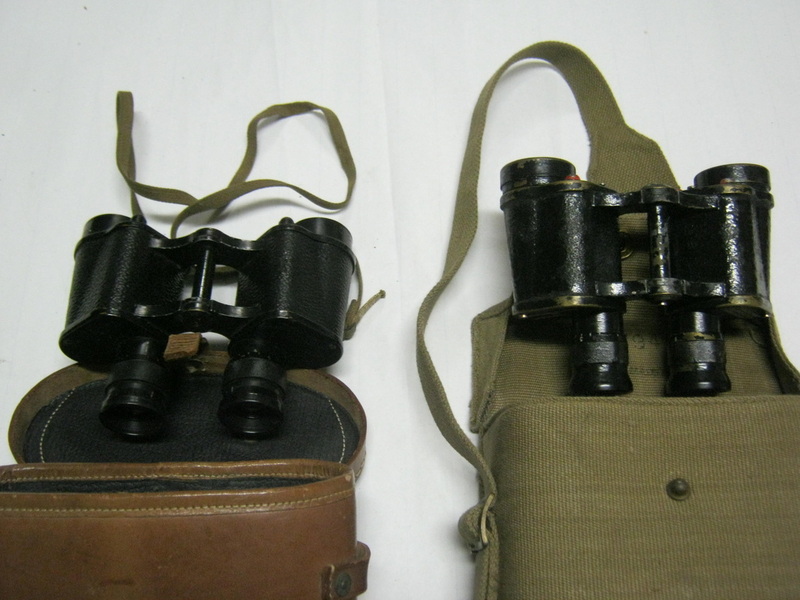 Binoculars are used for acquiring targets, spotting fall of shot, identifying friend from foe, and navigation. 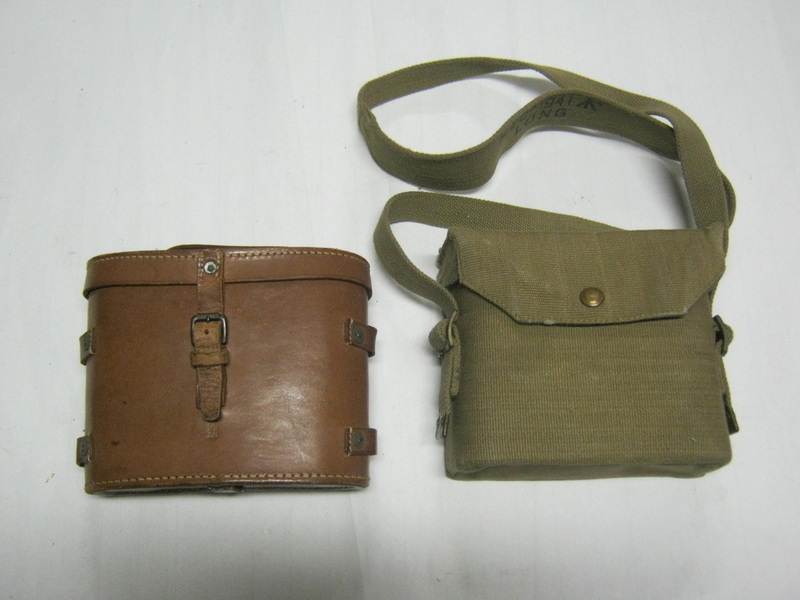 To the left are both leather and P37 pattern web binocular cases. To the right are the binoculars themselves. 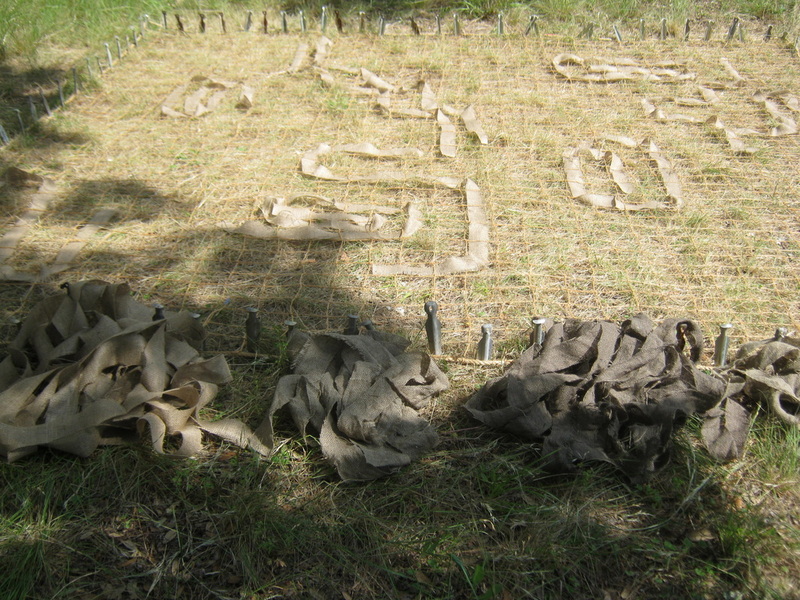 The standard 6x30 binoulars of the british army were the No. 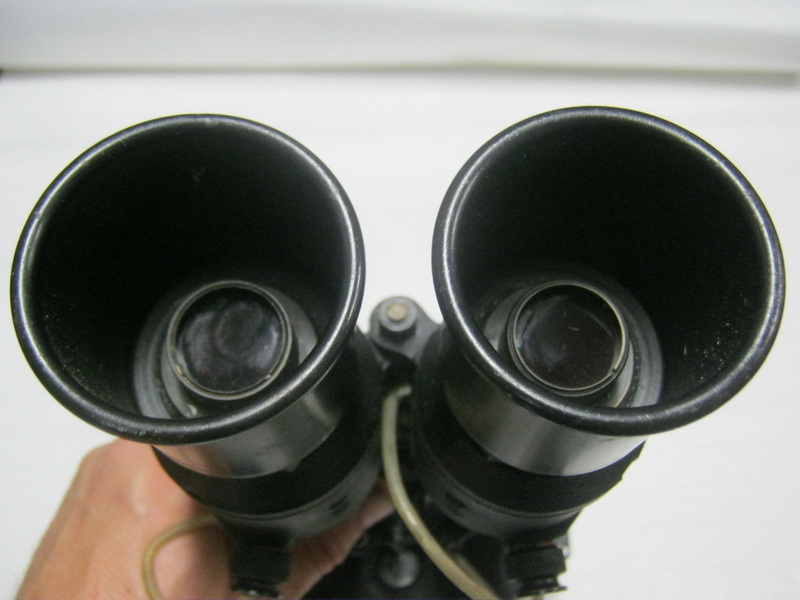 2 Mk II binoculars. Various manufacturers made them such as Barr & Stroud, and Taylor-Hobson. They are normally stowed on the vehicle and not carried around the neck. 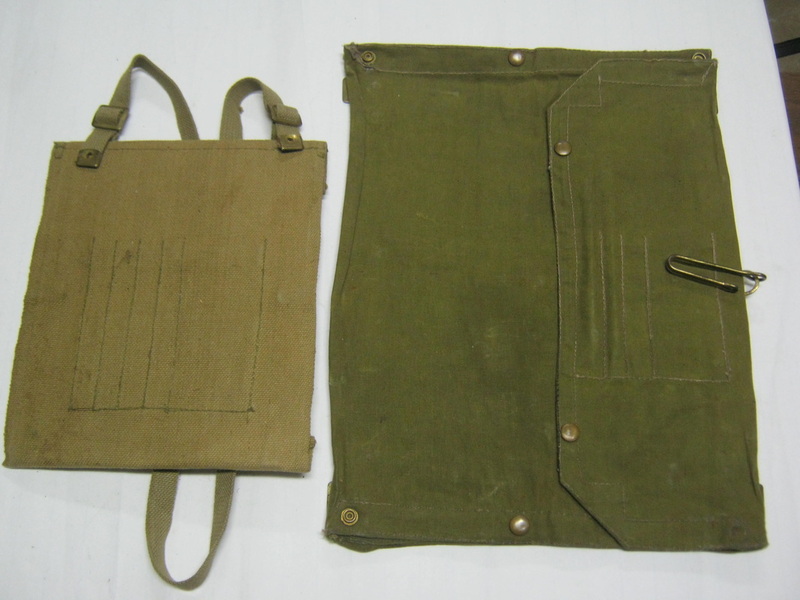 To the left are the standard P37 pattern map case on the far left, and the vehicle map case on the near left. Vehicle map cases are larger, as vehicles operate over a much larger area than dismounted troops on foot. Therefore, a larger mapcase was made that could fold out and be laid on vehicle turrets and wheeled vehicle bonnets and whatnot. 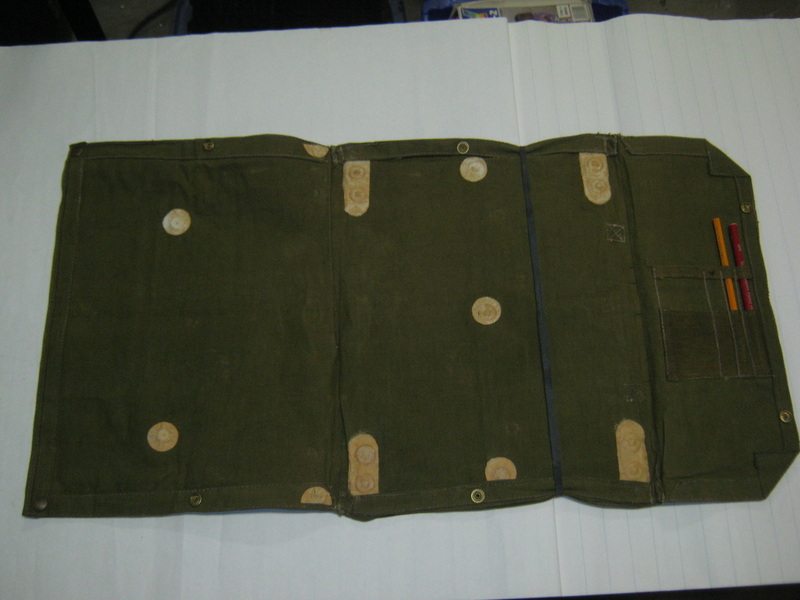 To the right is seen the vehicle map case folded open, with pencil pocket on the right outer flap, and elasticated band to help hold maps in place. To the left is the P37 map case, opened, showing the pencil pocket on the left, outer flap, and the clear plastic (vellum?) flap which covered the map itself, and could be written on with grease pencils. 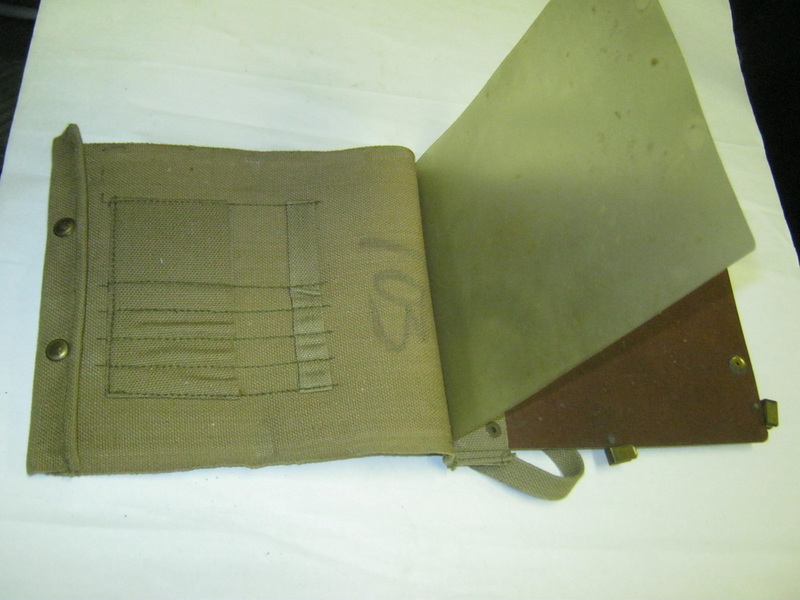 The back side of the map case, which can be seen to the right side of the photo, was hard pressed board, with clips to hold the clear flap flat against the map. 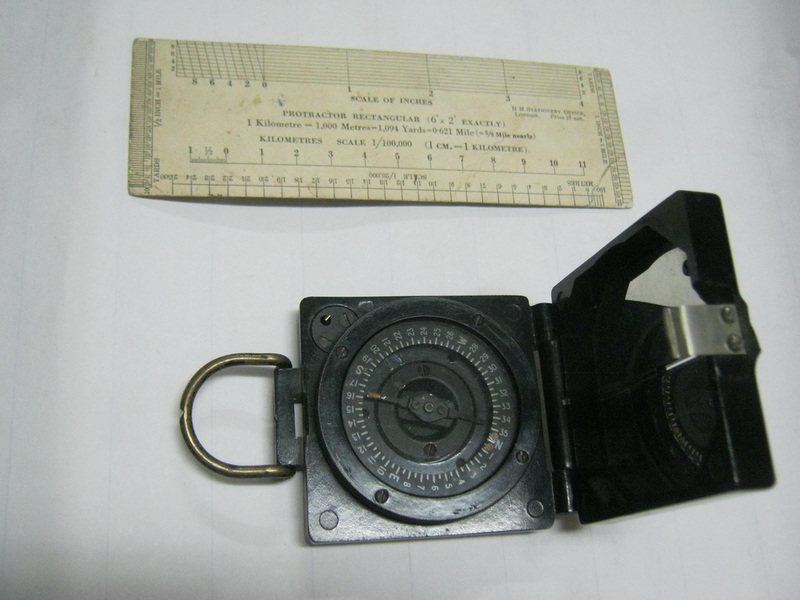 At right is a lensatic compass Mk III, along with a cardboard protractor for reading maps. This verse side of the protractor, with range scales for various map scales, and degrees 0 through 360 around the border. 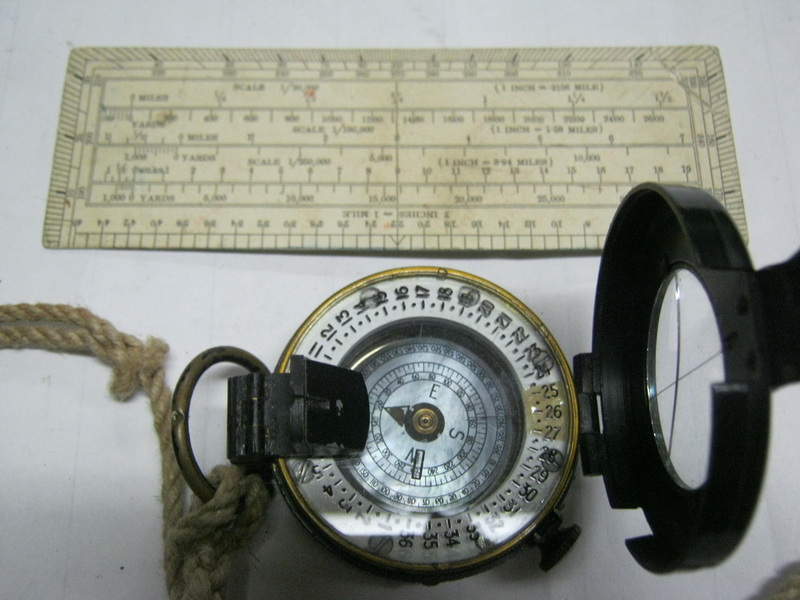 To the left is a marching compass Mk I, and above it the same protractor showing the other side. It has an inch scale with graduated tenths, kilometer scale in 1/100,00, and yard scales for 1" and 1/2" to the mile scale maps. This protractor was definitely designed before the modern age of standardized cartography. 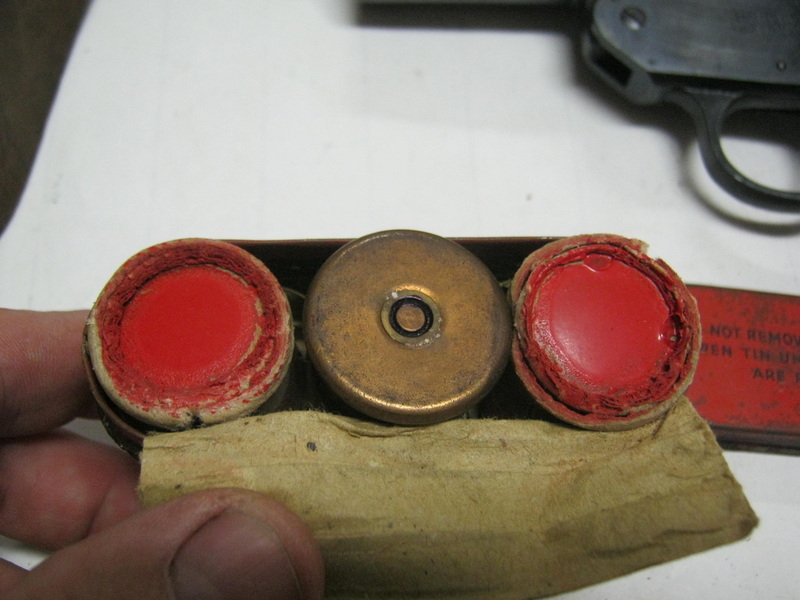 To the right are two models of flare gun, a tin of red flares, and a leather flare gun holster. 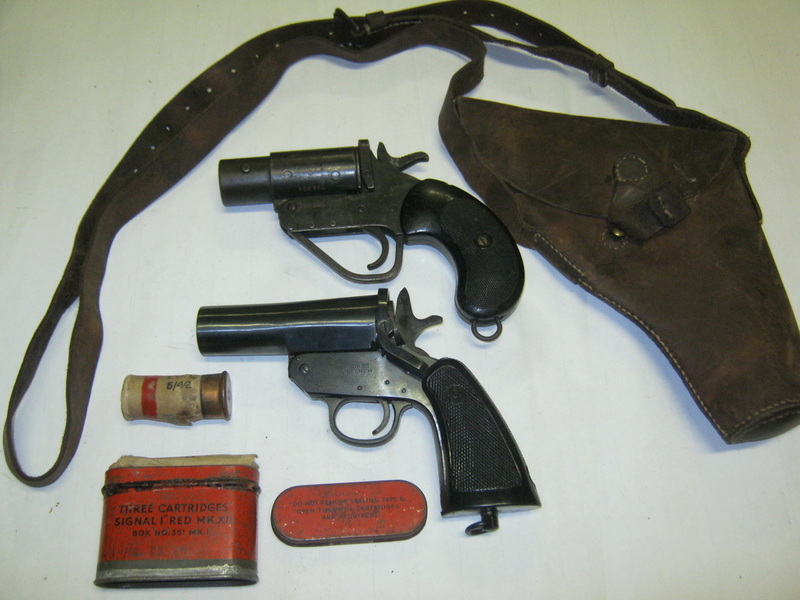 A web flare gun holster was also introduced with the P37 pattern webbing, but leather wartime holsters are common. To the left is shown the tin of flares in the above right phot, with the flares seen as packed in the tin. These are 1" (26.5mm) flares, which is the caliber of the flare guns. There were different colored flares so that single and multiple shots of combinations of colors could be used to send different messages. To the right is the upper flaregun from the upper right photo. It is designed for armored fighting vehicle use. The barrel has a lug on it so that the barrel can be inserted into a hole in the armor of the vehicle, and then twisted so the lug locks it in place, and it can then be fired safely from inside the vehicle without the crewman exposing himself to fire. Here is a pair of "R.G. 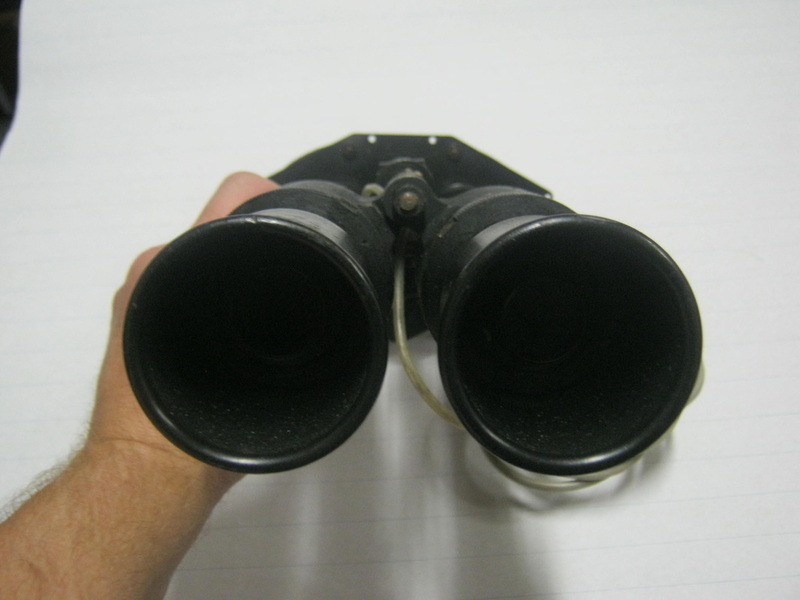 Binoculars Type 6", redesignated "Tabby Type E" after 1942. Tabbies came in three production marks during the war, Tabby Type 6 Mk I, Mk II, and Mk III. The Mk II was the first production model and issue was begun in 1943. The Mk III was not available for issue until 1945, so it can be presumed that most of those that made it to the troops during the war were the Mk II. To the left is a right side view, and to the right is a left side view. 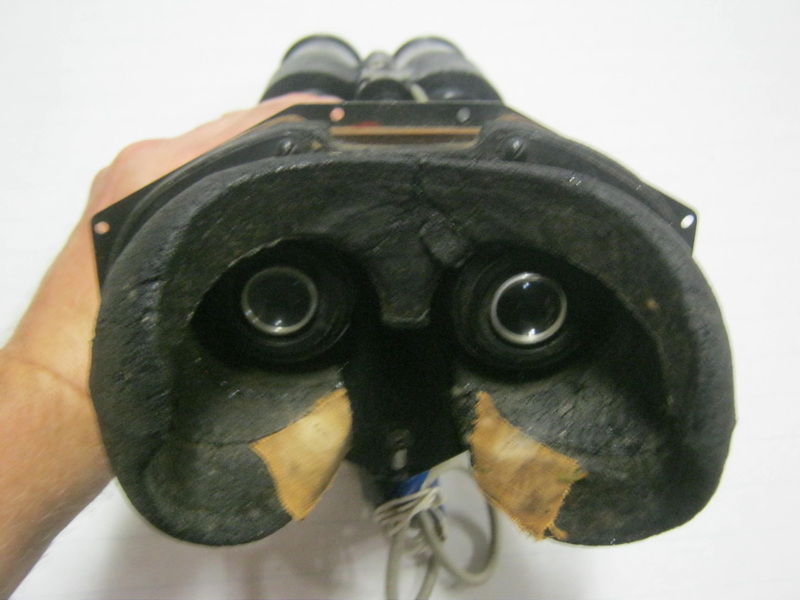 To the left the Tabby is seen from the user's point of view, with the rubber face pad against which the face was pressed. This prevented light from the binoculars escaping in the dark as well as preventing the user from being injured in a jolting vehicle. 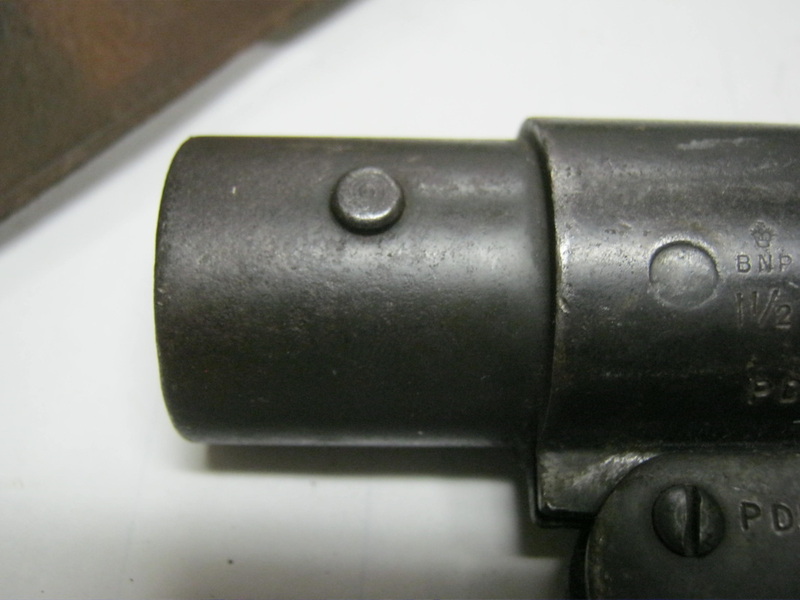 To the right is the view from the end of the objective lenses, "looking down the barrel", so to speak. Two sources of power were used in the Tabby, both from the vehicle batteries. 12v which was stepped up to 3000v to power the screens, and a low voltage to power the demisters for the Image intensifier tubes. Because Tabbies required a 12v power source, any vehicle which used a 6v system, such as a jeep, needed a separate 12v battery to power the Tabby. Tabbies were used by vehicle drivers travelling in convoys at night. They weighed almost 9 pounds, required special head harnesses and vehicle mountings to be used, and were not man-portable in combat. 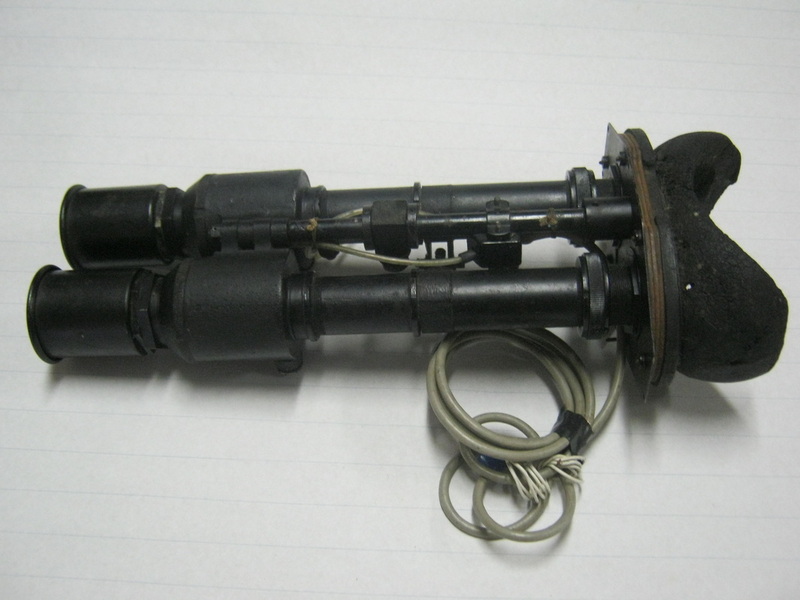 They were used in combination with IR vehicle headlight filter lenses and spotlights. 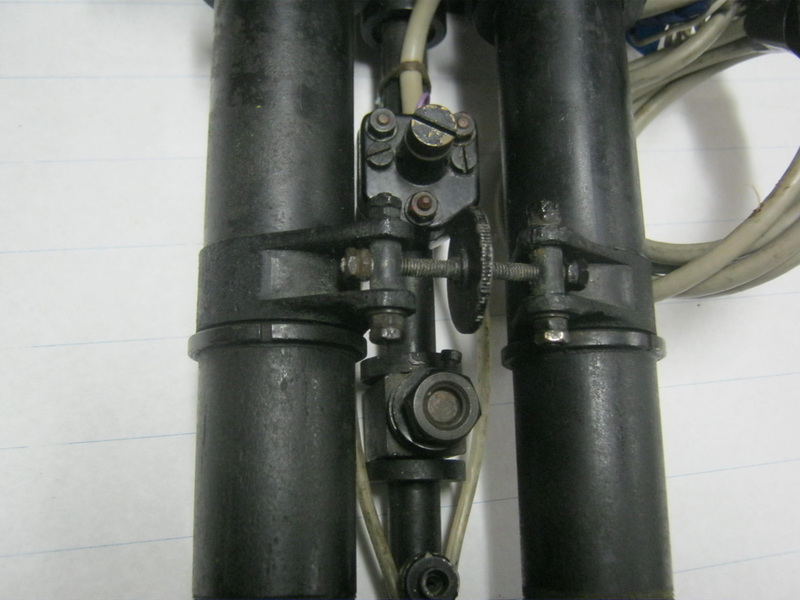 To the left is a view that shows the image converter tubes, and to the right is the underside, showing mounting bracket, tube spreader adjustment, and on-off knob. 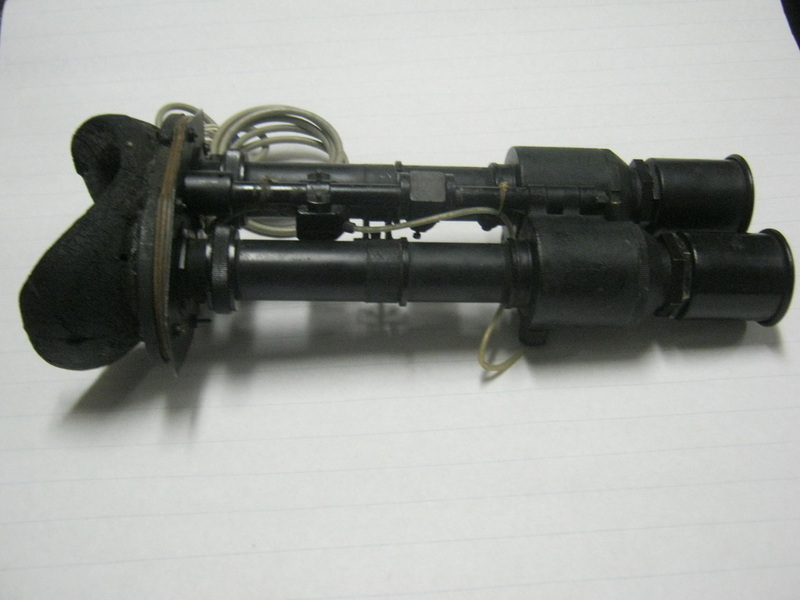 It is estmated that over 30,000 sets of british IR binoculars and monoculars of the different types and marks were made during the war, based on the known production figure of approximately 100,000 CV144 converter tubes manufactured by the war's end. Churchill insisted that Tabbies be deployed as widely as possible, immediately upon availability, and put into operational use. The order of the production model Mk II at the beginning of 1943 called for an initial batch of 3000 Tabby Mk II, of which 2000 sets were for fitting into tanks. By the end of the war, tank periscopes were being produced that did not require a complicated mounting arrangement, but these probably didn't make it to the front. For more information on Tabbies, click on the "Tabby Tales" button below that will bring you to a four part article on WW2 night vision equipment on the Historic Military Vehicle Forum. 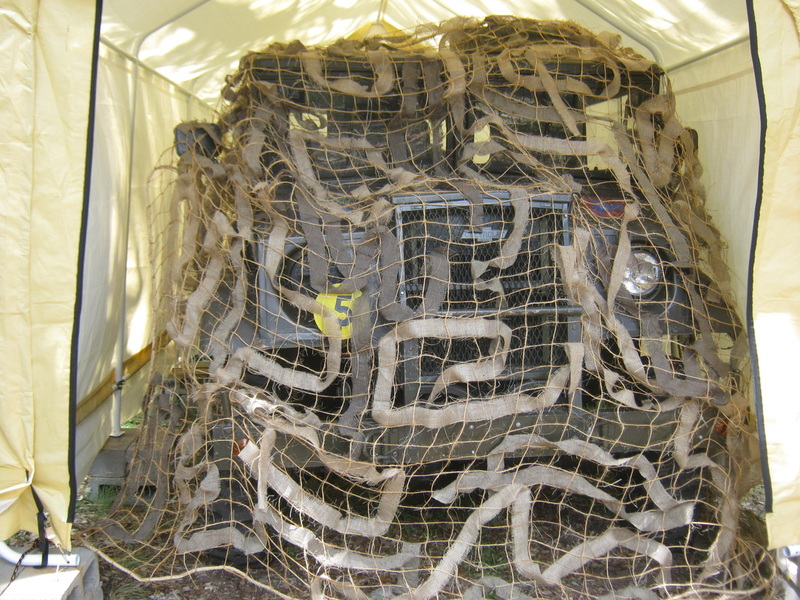 WW2 pattern camouflage netting is becoming both harder to find and ridiculously expensive. 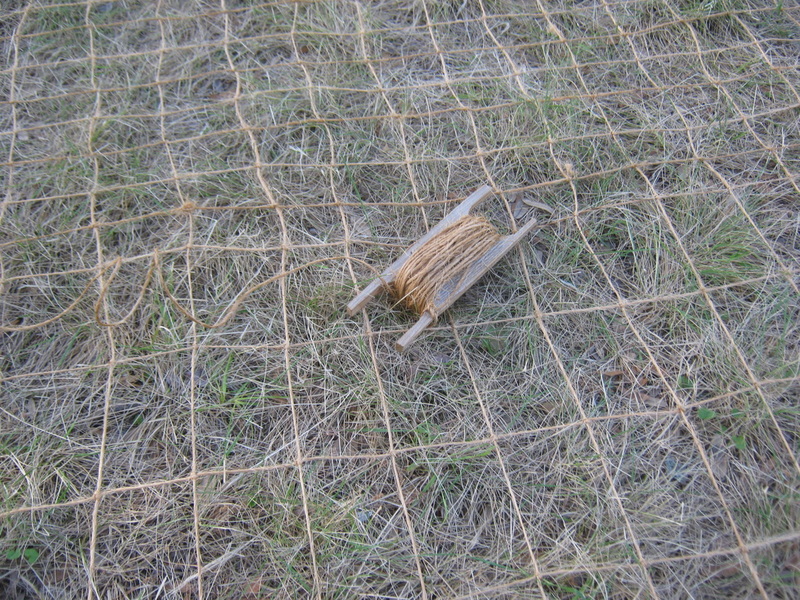 With a couple of day of work, just under 1200' of sisal rope and cord, a few yards of burlap and some RIT dye, you can make an inexpensive camouflage net like this one that measures 12' x 13'.